Gorenje Czech, in cooperation with the power company E.ON, launched a revolutionary product to the market - the only washing and drying machines that clear expenses. The Gorenje powered by E.ON washer and dryer are a response to the clear trend in the consumption behavior of customers in the Czech Republic. 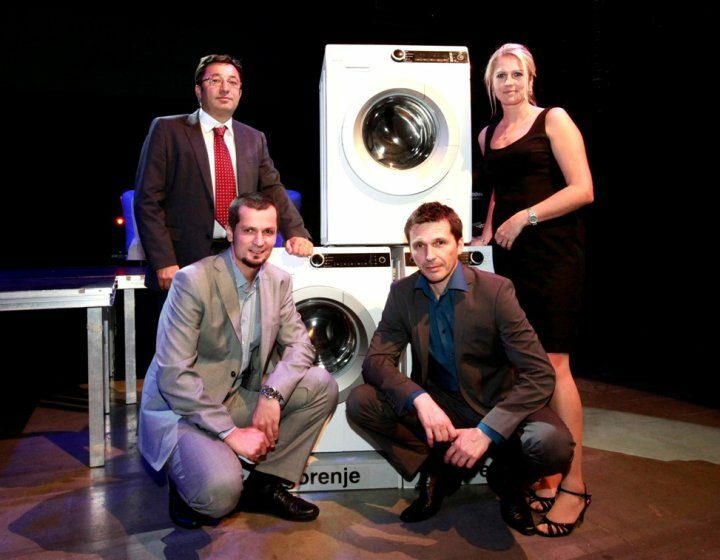 The new Gorenje powered by E.ON washing and drying machines were launched during the PRODUCT IN-NOVATION ceremony on 3 October 2012, an event held by E.ON. The evening ceremony was also a press conference attended by 94 journalists and 4 TV stations. The official introduction was attended by partners from Datart, Euronics and Electroworld, who became the official and exclusive dealers of the Gorenje powered by E.ON washing and drying machines as of that date. Thanks to the ECO program, the Gorenje powered by E.ON washing and drying machine identifies the low-tariff periods and starts the set washing cycle during this time. More and more people wish to utilise attractive, low-tariff prices in order to reduce the cost of cooking, laundry, ironing, dish washing and similar energy consuming processes. E.ON and Gorenje, therefore, jointly developed the first and only washer and dryer that, upon the selection, wait for the tariff and automatically switches on. The appliances thus significantly reduce costs over entire lifecycle. And this may even result in recouping the money spent on acquiring the washer and dryer. The increasing demand for energy saving resulted in a partnership between E.ON and Gorenje. This project is one of the main priorities for both companies.